Cavo Sereno is a stunning, 844 sqm castle in the Mediterranean Sea, located on the cosmopolitan island of Spetses. From its privileged position it offers unsurpassed sea views and breathtaking vistas of the surrounding countryside. Perfectly secluded, this superlative hilltop retreat is perched on a tranquil summit and nestled in an impressive 35,000m2 plot. Situated about five minutes away from the famous Old Harbour of Spetses, Cavo Sereno is close to all the action, while remaining private and secluded. The property is perfectly designed for relishing the Mediterranean air and light, featuring two private docks for yachts and challenging you to access luxurious and cosmopolitan destinations around the Saronic Gulf. 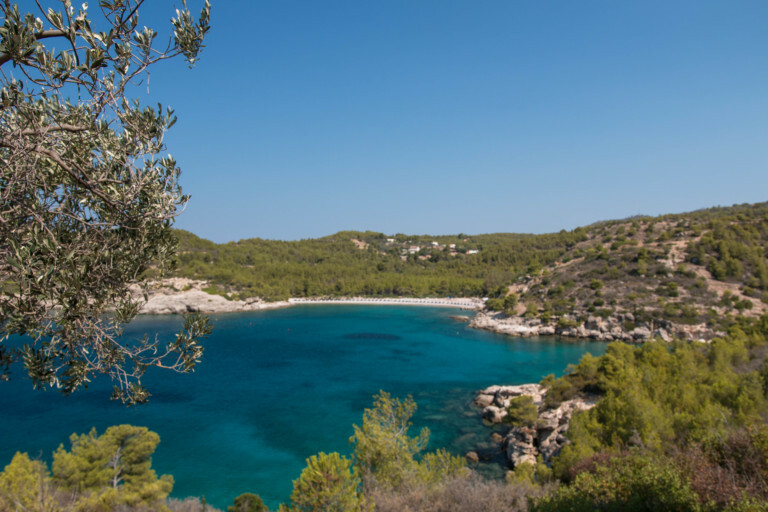 Immerse yourself to swimming in the two private and secluded beaches and take your mind away from all troubles while listening to the whispers of the sea. Lose yourself amongst the smells of tall coniferous trees and ornamental flowers that complete this lush mediterranean garden. Savor long days sipping cocktails on elegant, poolside loungers, or dozing on the deluxe sunbeds. Step up to the property’s terrace for more sea-view relaxation and gather around the gorgeous alfresco table for fresh feasts in the delicious breeze. For wine lovers and collectors, the property benefits a wine cellar with 1,200 wine bottle capacity and even barrels for wine production. Whether you want to produce your own olive oil taking advantage of the over 700 olive trees or taste your own wine from the property’s vineyards planted with Merlot and other varieties of grapes, this property is ideal of its major benefits. Eco-consciously and cleverly green, this property is a true landmark waiting for you to explore its unspoiled landscape. Please fill in all the fields below to request more information about Cavo Sereno.